Anderson Township Government Center — Cincinnati, OH. This was a collaborative effort with Tom Brown of Brown Creative. 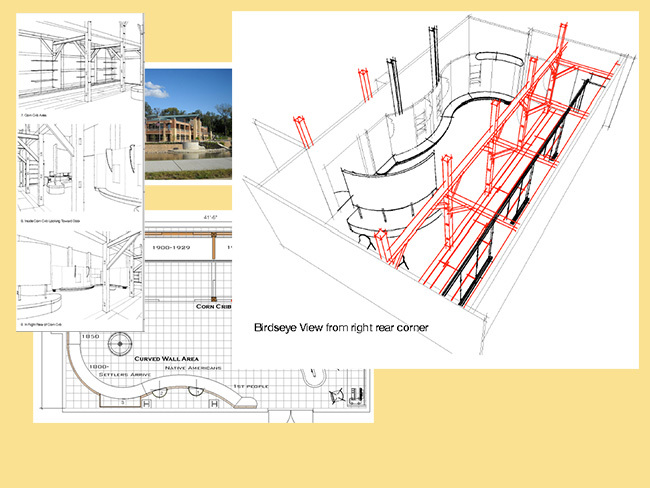 Tom approached me with this project three years before its completion. He and I went through the archives of AT Historical Society to scan hundreds of images to use in the room. We met with various residents who loaned or donated artifacts. An old corn crib on Rt 32 near Clough Pike was being razed. 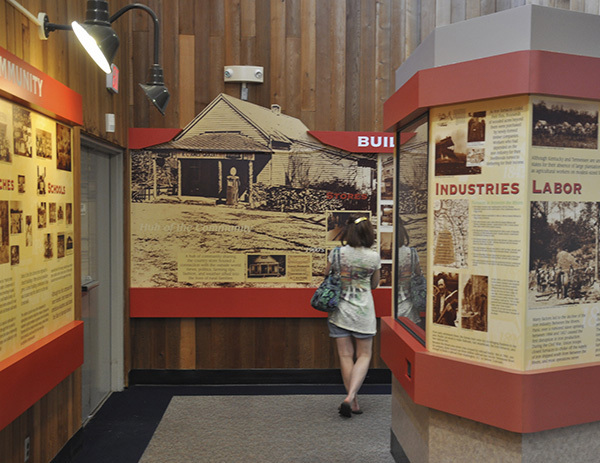 The township asked us to place a good size portion of this structure dating back to the 1830s in the room. 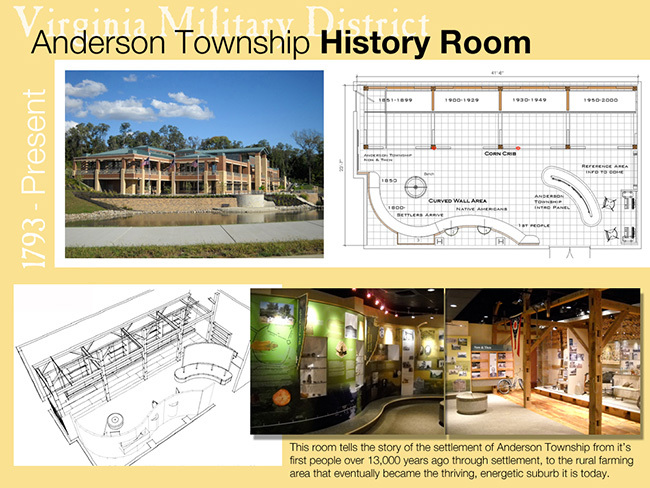 The curvilinear walls were used to represent the rolling hills and rivers that comprise Anderson Township. 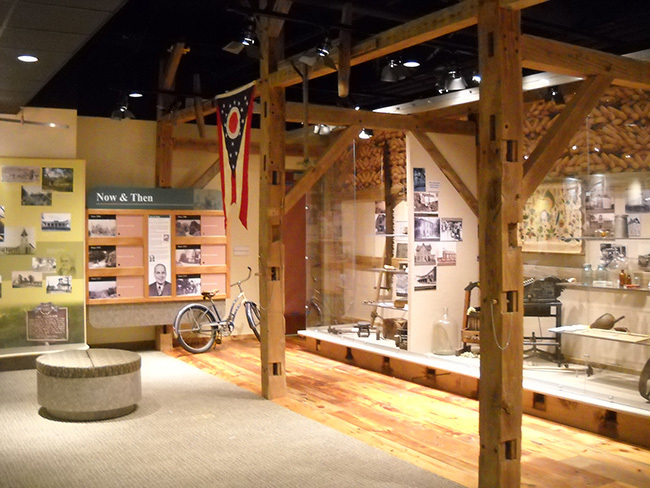 The corn crib provided the perfect backdrop and display cases for the artifacts from the residents. 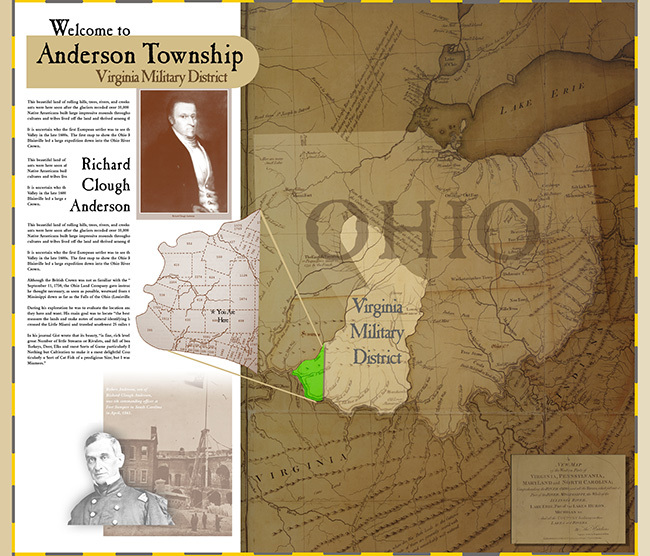 It also was a wonderful way to remind contemporary residents that Anderson was primarily a rural township from its inception in 1793 through the 1920s. 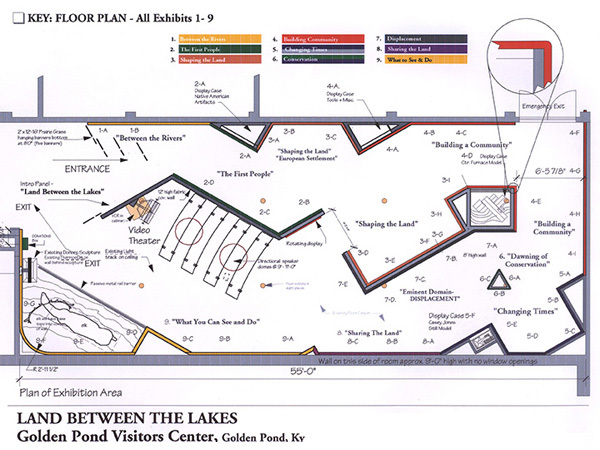 Land Between The Lakes Visitors Center — Golden Pond, Ky. 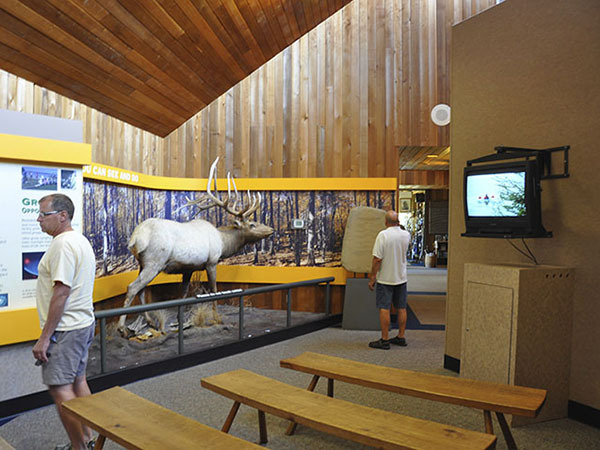 This was a Design-Build Project with an exhibit house from New Carlisle, Oh. The client Kathryn Harper of the TVA had already done an excellent Interpretive Plan. 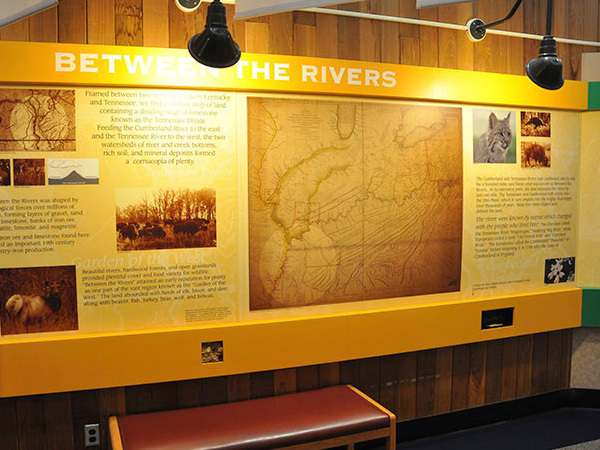 Using this interpretive plan as a map the design followed a chronological time line creating a smooth traffic flow but also offered areas of focus. In the early stages of the project, I had the pleasure of working with Mrs. Harper and several former residents' groups to acquire an impressive collection images, including the negatives from a book "Lest We Forget" by James Wallace (no relation). The box of negatives on loan from Mr. Wallace contained a treasure of photos of the homes, buildings, schools, churches, cities, businesses, and the people that lived on the land for many, many generations. 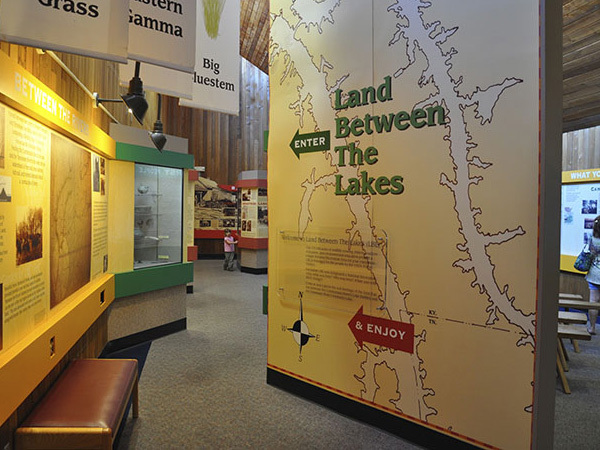 The goal of this room was to tell the story of how the land between the rivers became the Land Between the Lakes. 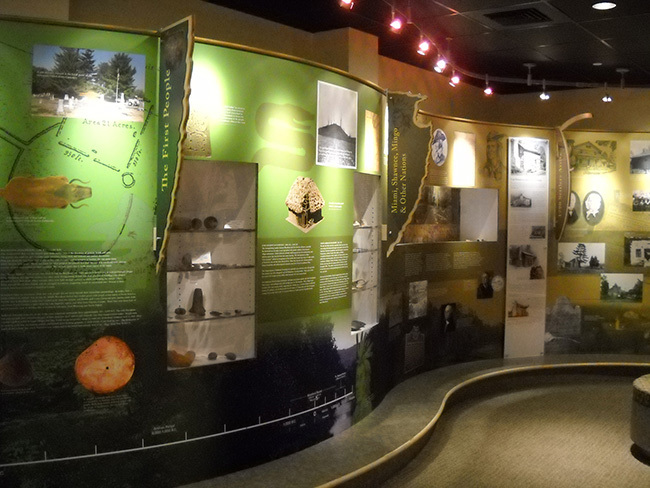 Since all of the homes, buildings and cities were completely removed and buried under eight inches of compacted soil, we wanted to illustrate the rich heritage, culture and history of the area's people so their children and grandchildren would understand their roots.